As we survived the expiration of the Mayan calendar, we thought we’d bring you a show contributed by 8 of our awesome listeners bringing you 8 awesome tracks! Stuff not mentioned in the show! Don’t forget about the HPR New Year Party! Please vote for us at the European Podcast Award 2012 – voting closes on January 15th! 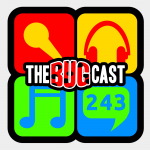 The next show will be episode 244, which will be broadcast live in the chatroom on Friday 4 January 2013 from 21:30 UK time. You awesome listeners who submitted tracks for the show!